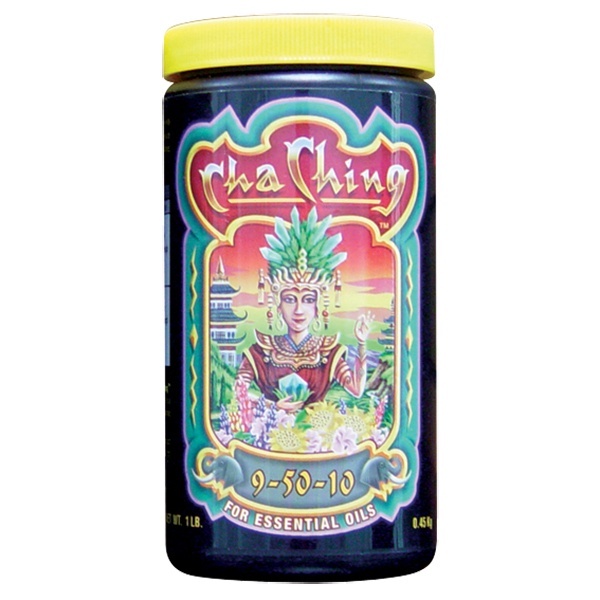 Cha Ching® is a pH balanced blend of extra strength nutrients specifically formulated to increase essential oils and pump out heavy resins in fruit, buds and flowers. Formulated for use during late-flowering cycles, Cha Ching® contains an extra-strength micronutrient pack that has all the essential elements needed to support juicy fruit on compact, stocky plants. That means concentrated flavor and perfect texture. Use in soilless mixes, organic soils, hydroponics and aeroponic systems.